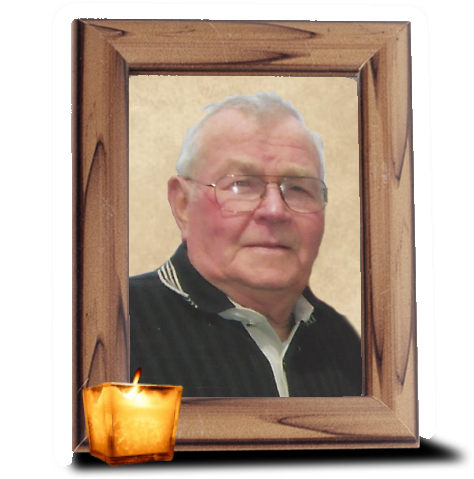 Obituary for Samuel E. LeFevre | Wiesner & Massart, Inc.
Samuel “Sam” E. LeFevre, 84, of Casco, passed away at home on November 21, 2018. He was born April 5, 1934 in the Town of Red River to the late George and Eva (Flavion) LeFevre. On April 7, 1983 he married Rose Marie (Massart) Kinnard at Holy Family College Chapel, in Manitowoc. Sam spent the majority of his life farming on the family farmstead in the Town of Red River. In 1991, Sam sold the family farm and began working at Tufco in Green Bay. He then worked for Green Bay Converting until the time of his retirement in 2009. Sam enjoyed life to the fullest. He especially loved bowling, slow pitch softball, and golfing. He was inducted into the Green Bay Bowling Hall of Fame on November 1, 1986. He loved to spend time with his grandchildren and especially loved watching them take part in their sporting events. He was very proud of all their accomplishments. He also really enjoyed spending time with his grand-pets, Duke and Harley. Sam is survived by his wife Rose; two step-sons, Jim (Kristine) Kinnard and Tim (Cindy) Kinnard; six grandchildren, Steffi (Mark) Thiem, Cassi (Lucas) Oshefsky, Rachel (special friend Danny Dorner) Kinnard, Lexi (special friend Luke Potts) Kinnard, Travis Kinnard, and Jack Kinnard; two great-grandchildren, Aubrey Oshefsky and Livy Thiem; one sister-in-law, Beverly LeFevre; two brothers-in-law, Dr. Jack (Rita) Massart, Fr. Jim Massart; and many nieces and nephews. Sam was preceded in death by his parents George (Eva) LeFevre; mother-in-law and father-in-law Nelson (Eleanor) Massart; three brothers, Rodger (Bernice) LeFevre, George LeFevre, and Joe (Gerri) LeFevre; nieces and nephews. Visitation will be held at Wiesner & Massart Funeral Home, Casco, on Sunday November 25, 2018 from 1 p.m. to 6 p.m. Visitation will continue on Monday November 26, 2018 from 9 a.m. to 11 a.m. Funeral Service will take place at 11 a.m. at the funeral home with Bob Steiner officiating. Burial to follow in Holy Trinity Catholic Cemetery. Online condolences may be shared at www.wiesnermassart.com. Sam’s family would like to thank St. Vincent Home Health for their care and compassion.